As we enter 2015, it is the perfect time for new beginnings. In truth, every moment we are beginning again (and again) - but around this time of year, there is a collective acknowledgement of renewal. I have been quiet at BeingBreath - both on my own site and on social media. And now, with this collective energy propelling me forward, I move into re-emergence. But things are going to look a bit different. Because I'd created a business, I had to have a way to justify all the time I was spending by having some sort of definable output (some "successes"): classes or art that I'd sold, statistics of Facebook followers or newsletter subscribers, qualitative feedback on the work that I was doing. The more that I received, the better I was doing, the more "right" my path. It was all about the feedback. I don't need a business. And I am still someone without the approval. I am blessed, fortunate, spoiled - whatever you want to call it. It's tight, but we'll still have a roof over our heads and food to eat if I don't make a dime. While my ego might take a hit, BeingBreath doesn't have to make a profit, constantly increase subscriber numbers, or even (gasp) get positive feedback. And the whole who-I-am-beyond-the-approval? Keep reading. So what does this mean from here on out? BeingBreath (then, LifeUnity) started as a personal blog. It was just a way for me to reach out and say, "look, I'm here!". It quickly became about stroking my ego - an attachment to approval. A comment on a post meant I'd done well. No comments meant I'd written something wrong, and needed to try again. For a few years, I played the approval game. As my creative side emerged through writing, photography, encaustic and acrylic art, I started to feel that personal calling again that makes one do things whether or not others approve.... but it still was boxed in by that need for acceptance. I'd post paintings and let the feedback determine how "good" the painting was. But, as with all addictions, there was never enough. One comment wasn't enough to make me feel approved of - a few nice words weren't enough, an entire slew of "likes" wasn't enough. I quickly grew tired of chasing what I'd never catch. It was only within the last year that I started acting upon that fatigue. 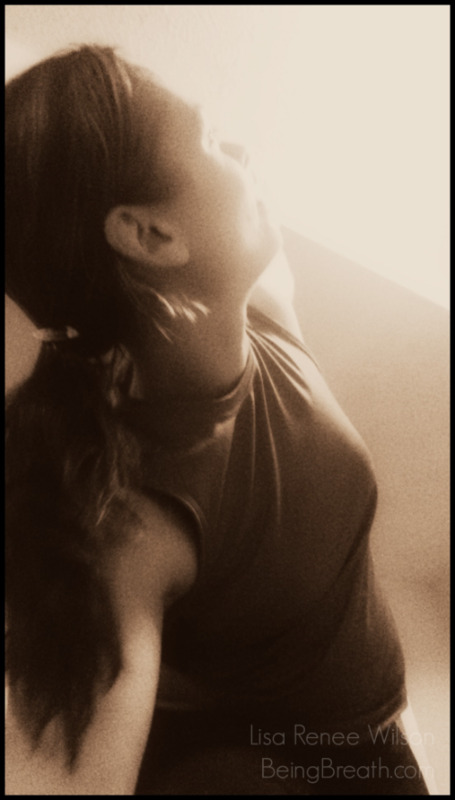 BeingBreath emerged because of how I wanted to FEEL in my own "business", my own world work. I wasn't as attached to the need for feedback, for approval and acceptance. My work still followed the guidelines of a business, however, because that was the only way I knew how to operate. In December, I finally decided to tackle some important questions head-on. What would my work outside of the home look like, and how would I justify all of the time, the money, and the efforts, if I weren't running a business? Who am I, really, outside of the approval of others? And in the stillness of the moment, when there is no one right choice and no one telling me where to go, where do I truly feel called to move? I paused with most of the public output, let go of the constant chase of feedback, and just sat with the discomfort of BEING. There is a passion that arose in that pause - a passion that I will define and explore more publicly at another time. But within that passion was a strong, unavoidable desire to be HONEST. To live with integrity. To acknowledge all of those parts of me that had gone dormant, and to actively display all of those parts. And this time around, none of this is about approval. It is about the need to be freely, unapolgetically, and boldly whoever I feel called to be in the moment. And it is about the need to be SEEN while being this way. We all have this need. I feel that there is a deep reason for this. I believe we are all parts of a whole. Our thoughts, our experiences, our lives are all like identical books. Who we are as individuals depends on which pages of the book we chose to share. Some choose to read and live the pages about being kind, giving, creative, or nurturing. Some choose to read and live the pages about being greedy, violent, self-serving, or destructive. We are all reading from the same book, though. We each have all of these stories within us. you are just like me, and I am just like you!". I start over, here and now, with the intention of living in, and sharing every page that enters my awareness. That means blog posts about parenting. It means blog posts about sexuality. It means posts and stories about painting and anger and meditation and lust and Buddhism and dust bunnies hiding under the furniture and suicide and the dishes and things that make you smile and things that make you cringe. It means no longer staying within the confines of a business. It means that posts may be insanely long - like this one, in which I totally risk losing your attention - or that they may just be a photo I took that I let speak for itself. It means that I'll be writing and sharing more often because now I'M excited again. It means that things may not seem coherent on the outside (but that for those who can see it, Our Story is what is being told). Well, hopefully it means that you'll see something of yourself in what I write. Hopefully you'll find some words or a photo or a piece of art that you can jot down (or yep, purchase if you feel called) to remind you of what you just experienced. Because these aren't just my stories. It is OUR story. This messy, fucked up, delicious, enticing, confusing, passionate, enlivening thing we call life. If it is uncomfortable to talk about certain parts of it, then, "let the discomfort begin with me". I'm feeling called to LIVE my, "one wild and precious life" ... and to share without reservation so that anyone else who feels called to do so may realize that you are not alone. I will forget to do this, and I will remember, and I will begin again. And again. So here's to 2015. Here's to new beginnings. Here's to our story - and to the telling of it all.